Absolutely spectacular! Loved it not only for the dazzling shots of the universe but also for all the beliefs, opinions and tales given by the scientists and people who reside there. 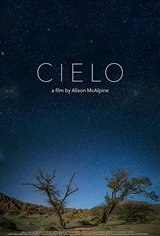 Saw Cielo at RIDM festival in Montreal. Phenomenal film. I booked a trip to the Atacama.